Do you wish to buy on the Costa Brava? Home Select International, the Real Estate agency in Empuriabrava, will assist you! 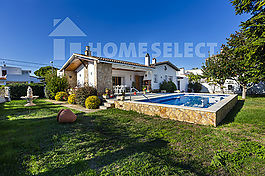 Are you looking for a house on the Costa Brava? the Real Estate agency in Empuriabrava Home Select International has a wide range of houses and apartments for sale in Empuriabrava and the surrounding area. Are you looking for a house on the beautiful Spanish coast? The Real Estate Agency Home Select International will help you to find the right house or apartment in the area of Empuriabrava, on the Costa Brava. Whether you are looking for a luxury villa with pool, a delightful rural property or a fantastic marina apartment, Home Select International has 14 years' experience at your disposal. Once you have made your decision to travel to the Spanish coast to visit houses, we offer you the best advice and orientation on site.From making hotel reservations to finding the right mortgage for you. Even after the purchase Home Select International is at your service. Our service is based upon quality, convenience and direct contact. Therefore we are at your service 365 days a year to resolve your problems or respond to your questions. April Fair in the "Plaza de las Palmeras" in Empuriabrava, from Thursday, April 4 to Sunday, April, 7. Every evening-night music and shows, food and drink.